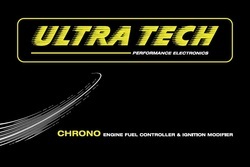 ULTRATECH CHRONO is a popular piggy-back device and one of the very few ECUs in the market to directly control injection, just like a standalone ECU. Due to its features and affordable price, it is becoming increasingly popular in the tuning scene. Keeps your stock ECU for climate control, multiplexer, idle routines and faster setup & startup. Ultratech products should never be used on passenger cars on public streets. They are made for race cars operating in the controlled environment of raceways and dragstrips.